As a leader in smart mobility, Be-Mobile offers a wide array of solutions to help public authorities, road operators and private companies improve daily mobility for travelers. Be-Mobile uses the power of connected vehicles & travelers to monitor traffic 24/7. Fusing live & historical data from connected vehicles, road sensors, traffic operators and multimodal mobility sources, Be-Mobile helps provide actionable traffic management. Traffic flows are optimized via the Be-Mobile Big Data platform, bringing traffic control messages both on dynamic road signs, as personalized messages into smartphones and on dashboards. The current company is the result of the merge of Be-Mobile, Flow and Mobile-For. Be-Mobile is the majority shareholder of Flitsmeister, the Dutch most popular traveler App while Proximus is the majority shareholder of Be-Mobile. How do you realy get impact on the individual traveler's mobility choice? With Be-Mobile MobiGo a unique solution that picks up on the use of mobility apps next to local traffic and mobility data, to provide a clear view of what's happening on the road. In the context of collective interest, MobiGo enables you, as a road administrator, to give road users mobility advice based on their user profile, mobility preferences and your specific wishes. 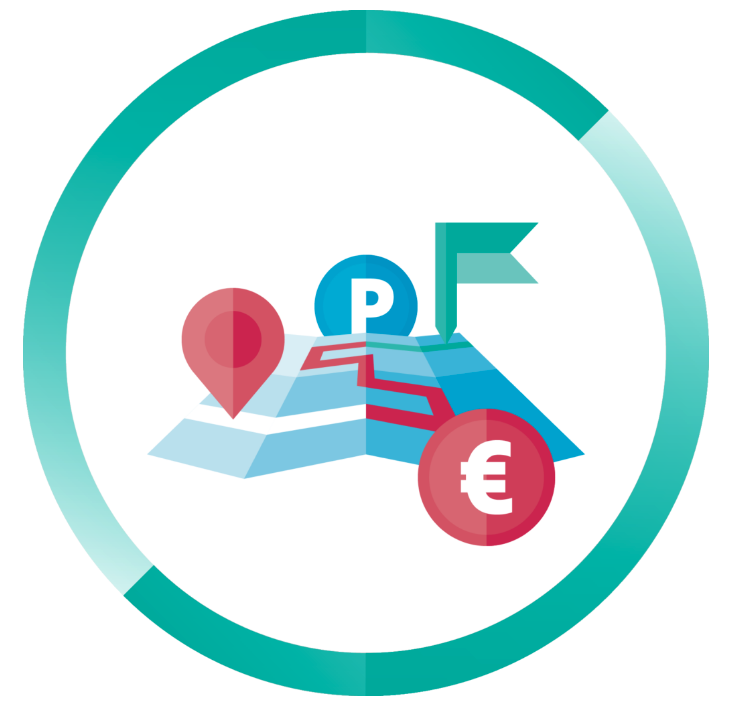 Thanks to the payment options for parking and mobility, the road user will continue to use the app daily, allowing you to continuously influence his mobility choices. MobiGo is an all-in-one mobility solution, cheaper than a traffic infrastructure and much more efficient because it can adapt to technological evolution, your budget, your needs and those of the road user. With Be-Mobile Mobility Blocks, you get all the necessary building blocks to perfectly customize your MobiGo solution to suit your needs. So, MobiGo allows Mobility as a Service for the road user under the control of the road administrator.